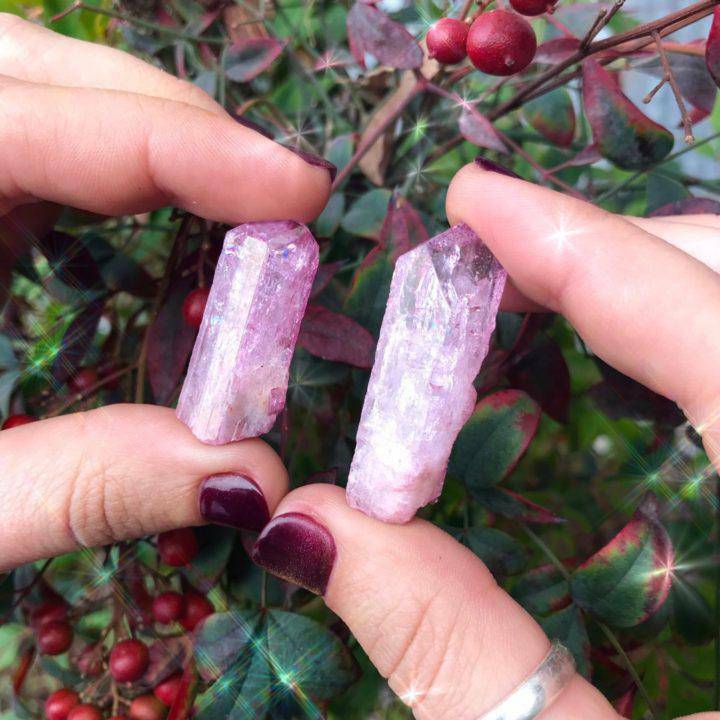 The energy that this rose aura danburite exudes is absolutely breathtaking. This is the first time we’ve ever offered this beautiful gem, and I couldn’t be more excited! 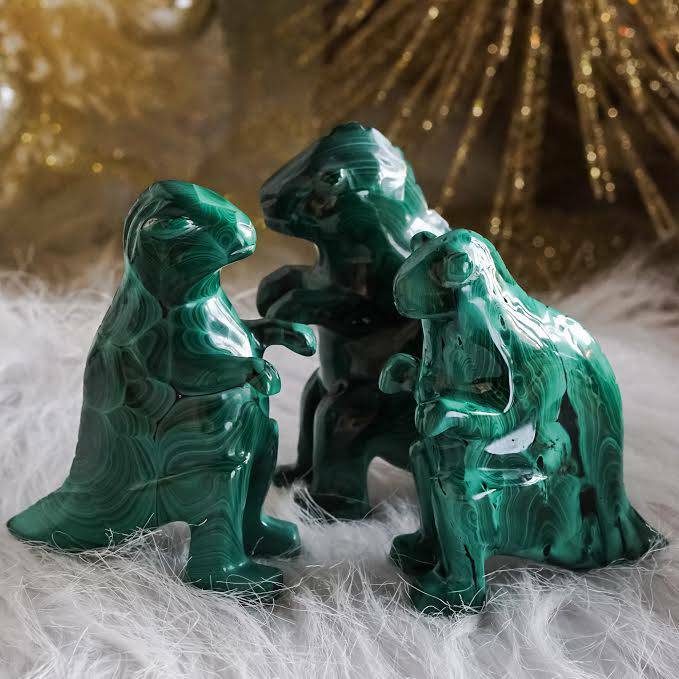 Heart-healing, inner peace, angelic connection – I could go on and on about the powerful magic these gems possess. If you’re ready to open up to the abundance of heavenly love, light, and wisdom this Universe has to offer, this is your offering. Danburite possesses a high frequency that purifies energies in both your auric body and sacred space. This potent cleansing property is what earned danburite the name The Great Healer. Also known as the Stone of Enlightenment, danburite is used in body scanning, a process by which one scans one’s own body to sense the root cause and area of illness. 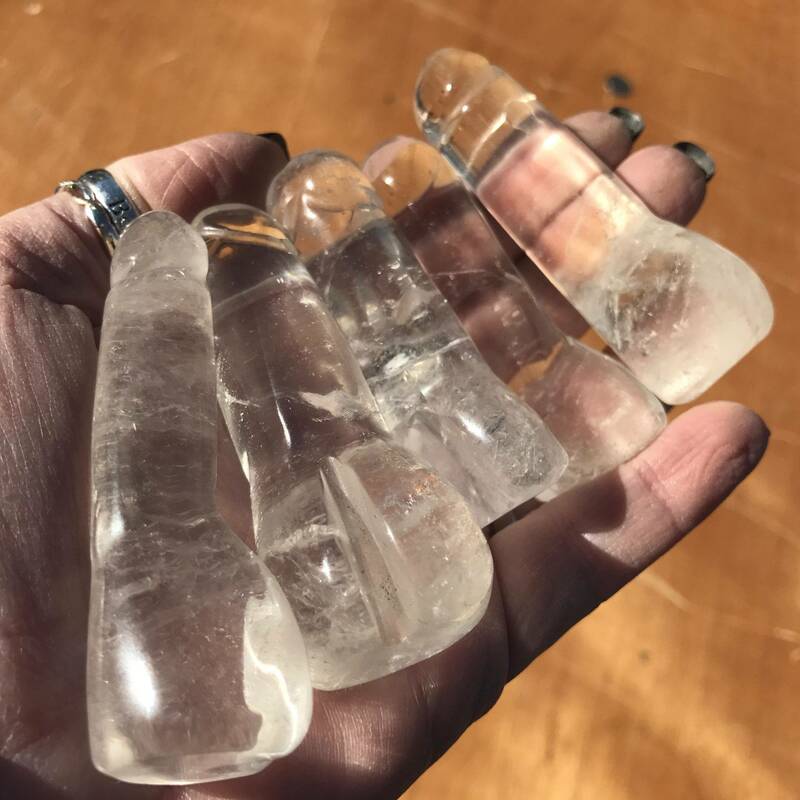 In my experience, danburite activates the upper energy centers and brings direct contact with Spirit and the angelic realms. A powerful stone of the White Ray, it is like a direct channel to the heavens. It is also an amazing sleep aid. With the addition of a stunning rose aura treatment, danburite gains powers in the realms of love and the heart. 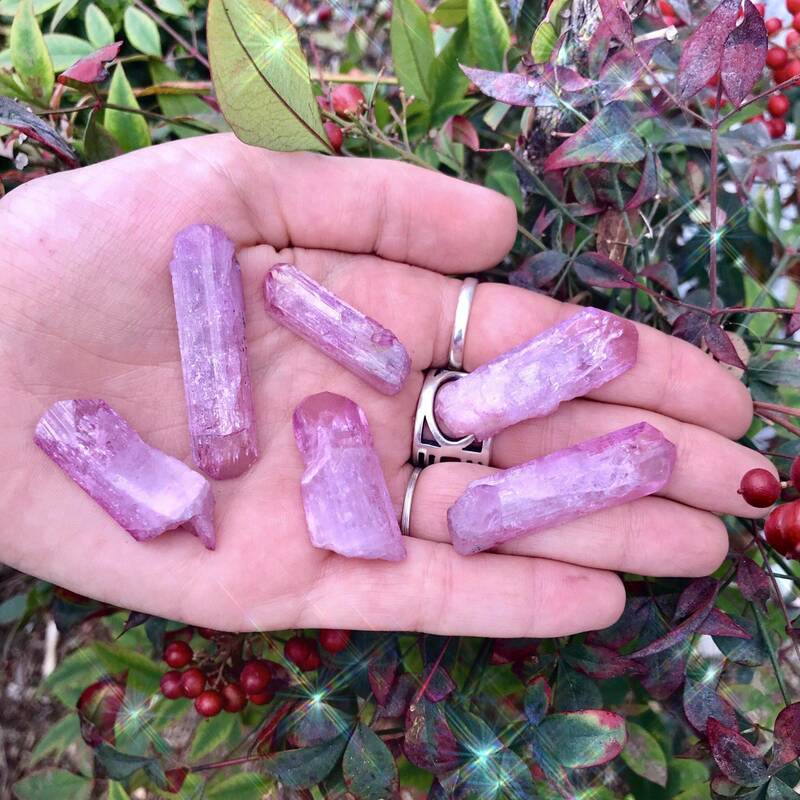 These rose aura danburite gems will open your heart wide, helping you heal old wounds and invite more love, compassion, and kindness into your life. If you’re healing from a past love or are simply looking to attract more soul connections, this is your gem. This listing is for one (1) rose aura danburite. 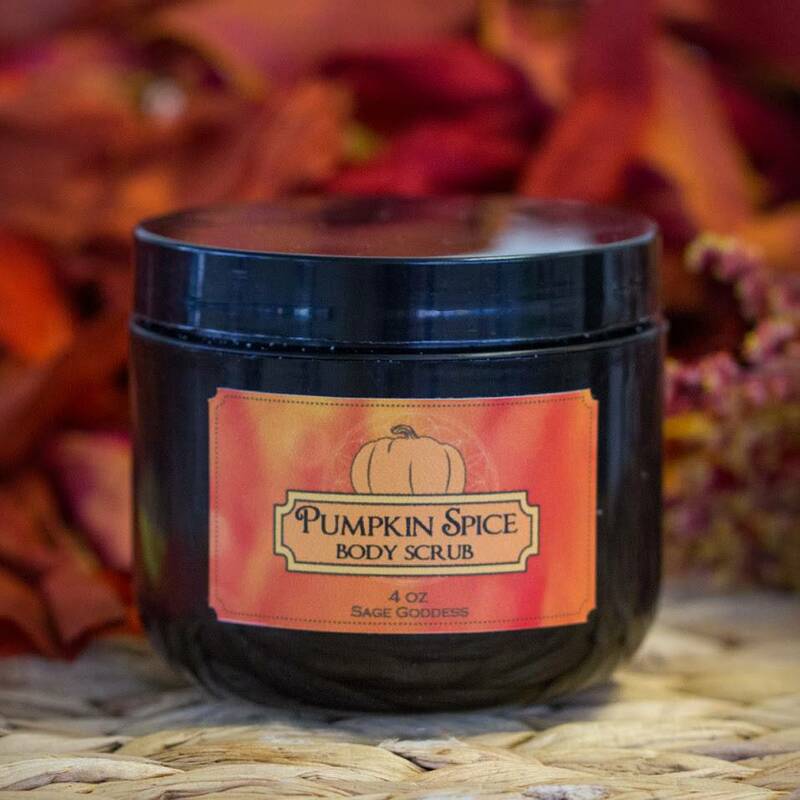 I have two sizes to offer you: Small (about 1-1.5”) and Medium (about 1.5-2”). Yours will arrive lovingly parceled along with a single leaf of white sage and a card describing the properties of the stone. I am in awe of how beautiful this pink crystal is in person! I definitely recommend getting this wire wrapped.